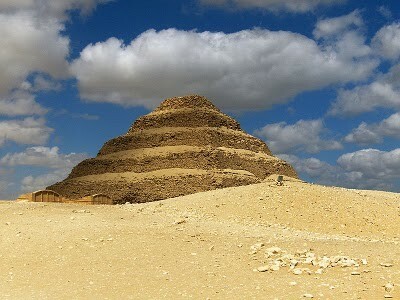 Sinai & the Pyramids Tours: Have a wonderful tour to Egypt. get excited with Giza Pyramids and the Sphinx, Sakkara Complex and Egyptian Museum in Cairo. then you will have a tour to Luxor, and then enjoy the water sports and activities in sharm El Shiekh, and an excursion to Ras Mohamed National Park and the Colored Canyon. Have your breakfast at your hotel, and then you will be accompanied by your English speaking guide and your driver and enjoy a full day tour in Caro, you can visit the Egyptian Museum in Tahrir Square, after that you will visit Salah El Din Citadel and Mohamed Ali Alabaster Mosque, have a tour in old Cairo while you can visit the Coptic churches, have a lunch break, continue your tour and visit Khan El Khalili Bazaar and enjoy an oriental atmosphere. After that you will be transferred to Giza Railway to board your sleeper train to Luxor, overnight on board train. Have your breakfast on board before your arrive to Luxor. Then you will be assisted and transferred to start your tour with the East Bank of the Nile in Luxor, you will visit Karnak Temple and Luxor Temple. Have your lunch then enjoy shopping, after that you will be transferred to your hotel for check in, overnight in Luxor. After your breakfast in hotel you will visit the Luxor east bank starting with Valley of the Kings, the Temple of Hatshepsut and the Colossi of Memnon. After Lunch you will be transferred to Luxor airport and fly to Sharm. After your departure you will met our representative who will assist you and transfer you to the hotel for check in, Overnight in Sharm. Have your breakfast on your hotel, and then you can enjoy the optional safari tour to the wonderful Colored Canyon in Sinai its very narrow walls made of sandstone possessing an incredible range of hues from dark brown to red to straw yellow. Then back to your hotel. After your breakfast on your hotel, enjoy a optional excursion to Ras Mohamed National Park, which is both a terrestrial and an aquatic nature reserve. The 480 square kilometer protected area lies where the Gulf of Suez meets the Gulf of Aqaba in Sinai's southern extremity. The arid desert terrain of sand dunes, gravel plains, fossilized corals and Granite Mountains is home to a number of rare mammal species: Dorcas gazelle, Nubian ibex and red fox. Easier to spot are the resident birds like terns, herons, gulls and ospreys. Thousands of white storks pass through Ras Mohammed each year, heading south during September/October and back north during April/May. About 85 flora species live in the park, including mangroves, Overnight in Sharm.